1. Tell us about Trufan.io and this new endeavour of yours- looks impressive. 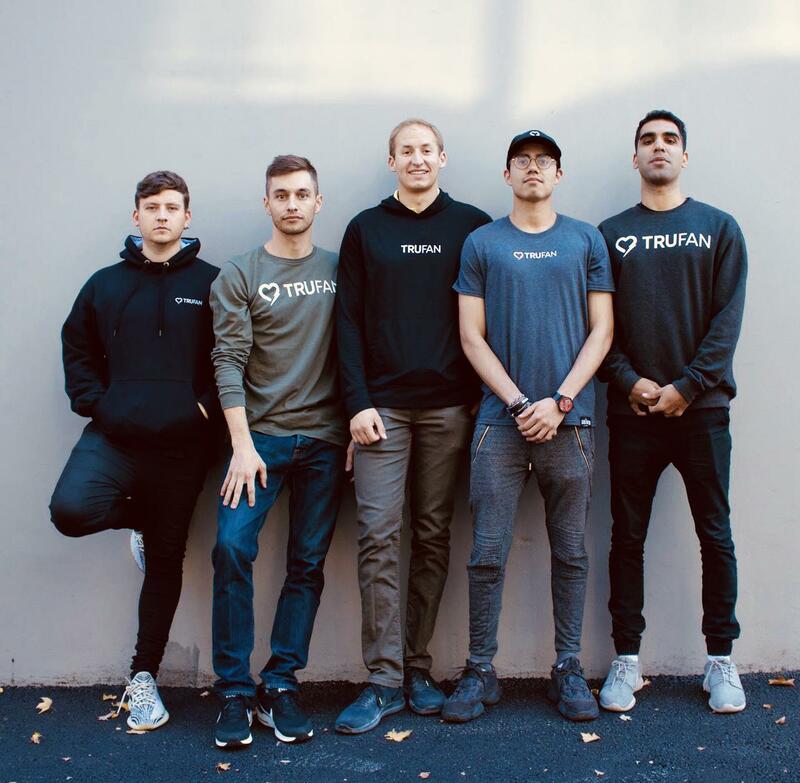 Trufan is an enterprise SaaS company, founded by two of Canada’s top young entrepreneurs, Swish Goswami and Aanikh Kler, who were both inducted into Canada’s Top 20 under 20 a few years ago. The company’s web platform uses a proprietary algorithm to help some of the world’s biggest brands and influencers identify and reward their top fans on Twitter, YouTube, Facebook and Instagram. Trufan allows users to aggregate their most passionate and influential fans, while being able to directly segment and reward them. The company recently raised just over $500,000 CAD in its second pre-seed round from several investors including Kyle Kuzma (Los Angeles Lakers forward), Davon Reed (Indiana Pacers guard), Manny Padda (Canada’s Angel Investor of the Year), Michele Romanow (CEO, Clearbanc), Jason Robins (CEO, DraftKings), Brian Poe Llamanzares (Time Master Watches CEO) and Austin and Trevor Eastman (founders, Odyssey Sports Group) and Eagle Rock Wealth Management. As of October 2018, the platform has more than 400 influencers ready to test the beta, including Kevin Hart, TLC, Gucci Mane, Ludacris, Cody Ko, Chris Paul and Dwayne Wade. They have also rolled out the beta to more than 200 brands including Western Union, McDonald’s Canada, UFC, Under Armor, K-Swiss and TheScore. The company also has a stellar advisory board comprised of Karen O’Brien (former VP Marketing, Western Union), Ryan Holmes (CEO, Hootsuite), Michael Hyatt (Chairman, BlueCat Networks), Mark Zablow (CEO, Cogent Marketing), Eliot Robinson (CEO, Dunk Media), Brandon Steiner (CEO, Steiner Sports) and Sam Sheffer (popular YouTuber). How were you able to build the core team of Trufan and what top qualities were you looking for from each member ? We all connected in different ways and Swish put together the team towards the backend of 2017 after Mark Zablow (CEO, Cogent Marketing) asked him if he had a tool that could help NBA All-Star Chris Paul determine who his most engaged fans in Houston were. We were astonished that this wasn’t currently possible and spent the next year developing the product, building relationships and raising capital. I think we all gravitated towards each other after being introduced and looking at the characteristics the team all share, we are all very driven and ambitious. This has really helped when it comes to solving problems, especially on the product side. The ability to work remotely for the first 10months and being able to have a global presence from the get-go has been really exciting. our product and contribute something more than just capital. Investors include: Kyle Kuzma (Los Angeles Lakers forward), Davon Reed (Indiana Pacers guard), Manny Padda (Canada’s Angel Investor of the Year), Michele Romanow (CEO, Clearbanc), Jason Robins (CEO, DraftKings), Brian Poe Llamanzares (Time Master Watches CEO) and Austin and Trevor Eastman (founders, Odyssey Sports Group), Eagle Rock Wealth Management. We have a stellar advisory board comprised of Karen O’Brien (former VP Marketing, Western Union), Ryan Holmes (CEO, Hootsuite), Michael Hyatt (Chairman, BlueCat Networks), Mark Zablow (CEO, Cogent Marketing), Eliot Robinson (CEO, Dunk Media), Brandon Steiner (CEO, Steiner Sports) and Sam Sheffer (popular YouTuber). Due to the founding teams focus on building relationships early in our careers we’ve been able to get some huge names and businesses to believe in us and the product. There’s no platform available at the moment which allows users to identify, then message their most engaged or influential followers. There’s certainly no product which allows you to do this across multiple platforms, which is our goal with Trufan. There are some great social listening tools, but we want to provide hyper targeted data to brands and influencers that allows them to build an engaged community and enrich relationships with their audience. As well as this Trufan allows users to target the appropriate users with marketing collateral on content which is specific to their location. What has been your strategy for marketing and branding Trufan and how did you go about getting clients? We are very fortunate to have a unique team and a unique product. So getting in front of brands like Western Union, McDonald’s Canada, UFC, Under Armor, K-Swiss and TheScore has been relatively straight forward. As a team we really believe in focussing on the value each we can provide to each of these brands and identifying their most engaged fans really aligns well with a lot of brands objectives, whether they want to build a stronger relationship with them or monetise them more efficiently. From a marketing perspective we have focussed on providing insight and as we grow there will be more resources allocated to creating a content ecosystem which will help our customer get the most out of Trufan and social media as a whole.